Cold weather brings with it cosy knitwear, gingerbread lattes, and…dry hands. They’re one of the most exposed parts of the body, which means they’re the first to feel the wrath of freezing temperatures and UV damage (all year round! 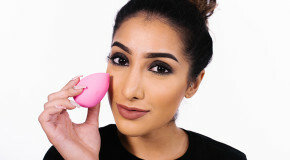 ), but they’re also one of the most neglected when it comes to skincare. If previous experiences with thick, greasy hand creams has put you off, we’ve rounded up the products that will protect your skin, boost moisture, combat dryness, and even reduce signs of aging – all without leaving greasy fingerprints on your phone screen. Keep scrolling for our favourite winter hand creams. 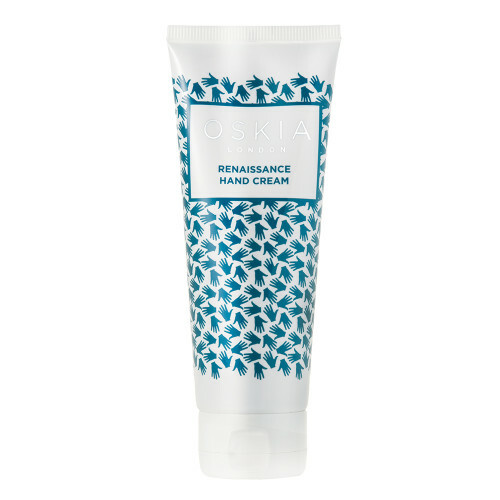 An indulgent blend of chamomile and rose packed with vitamins, minerals, and omegas, Oskia’s Renaissance Hand Cream is a luxe treatment leaves skin feeling velvety soft. The formula is also infused with fruit AHAs, so it gently sloughs away dead skin cells, leaving you with instantly smoother hands. Alpha-H’s Liquid Rose Gold Hand Cream is one of the fastest-absorbing creams you’ll get your hands on (literally). A trio of rose, olive oil extract, and vitamin B5 work to make your skin and nails feel soft and comfortable while glycolic acid speeds up cell renewal and the heady rose aroma soothes and relaxes your mind. Like your neck, your hands are one of the first areas to give way to signs of aging. This Works Perfect Hands is packed with moisturising and nourishing ingredients like hyaluronic acid and rose oil that work together to plump and smooth loose, rough skin, fade dark spots, and even strengthen brittle nails and cuticles. If daily life makes your hands flaky, you’ll need a restorative treatment to properly repair damaged skin. Avocado and macadamia nut oils make Antipodes Joyful Hand & Body Cream a win for sore, chapped hands that work from 9 to 5 – and you can use it anywhere you get dry patches. Formulated with hyaluronic acid, Mario Badescu’s Hydrating Hand Cream draws water into the hands and creates a barrier that prevents moisture from disappearing. But as well as remedying dryness, it’s seriously winter-appropriate because it contains peppermint and thyme extracts, which work to stimulate circulation and warm cold hands. Clever, huh? 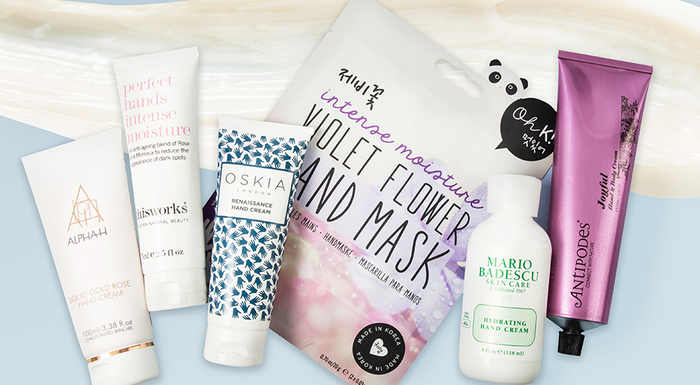 A fast-acting, intense treatment for those who find a hand cream isn’t quite enough, the Oh K! 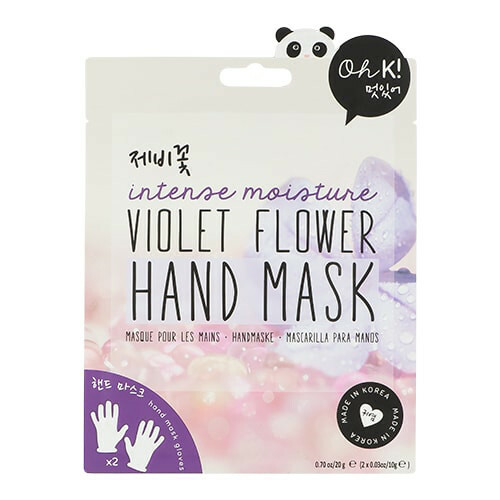 Violet Flower Hand Mask will get your hands back on track in one go… Simply apply the gloves, pour the formula in, then sit back and relax while the potent blend of hyaluronic acid and violet extract work a treat on cracked, dry hands.